Your kitchen and bathroom sinks are your home’s primary plumbing fixtures that you count on every day. You probably don’t give these sinks a second thought until they stop operating properly. 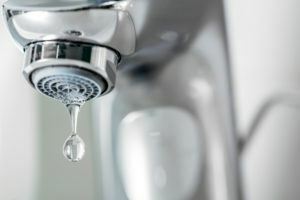 A lot of things can cease functioning when it comes to your sink – from leaky faucets to clogged drains and garbage disposal problems. Fortunately, when these problems arise, at Orange Plumbing Heating & Air Conditioning our team of sink repair experts can come to a rescue. Your sink is leaking or dribbling. Your sink has low water pressure. Your sink isn’t draining properly. Whatever the case might be, if you suspect any problem with your sink, contact us at Orange Plumbing Heating & Air Conditioning. One of our plumbing technicians will arrive to your door and inspect your pipes, faucets, drain, garbage disposal, and other appliances if you need to. 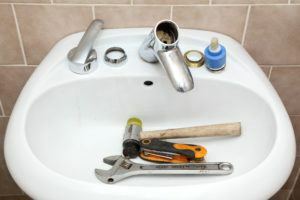 We’ll provide you with a detailed report of our findings and suggest the possible solution concerning your sink repair. 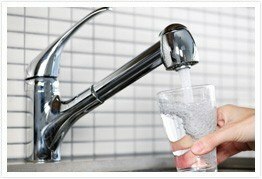 If you require any kitchen or bathroom sink repair emergency, we would be willing to help you, so give our office a call anytime and book one of our reputable plumbers. We will come to your place on time and get your sink up and running again. We offer affordable prices and emergency services, getting out to your home without ruining your schedule, even on evenings or weekends, if that’s what is required. If you need new sink installation or sink repair services in Orange County, contact Orange Plumbing Heating & Air Conditioning today! Our sink specialists can ensure fast, reliable, trouble free plumbing services and adjust to both pre-scheduled and emergency projects. We will ensure that your sink repair is of the highest quality and that the job is done right the first time. Our plumbers have over 50 years of experience in plumbing business, so the project will be completed to your satisfaction.